Using hands, squeeze 1 cup of sauerkraut brine from Eden sauerkraut. Place the sauerkraut and vegetables in layers in a 1 pint glass canning jar. Press down slightly. Add the sauerkraut brine to cover the vegetables and sauerkraut. Place a thin layer of cotton cheesecloth over the mouth of the jar. Secure in place with a elastic band, string or the jar's o-ring. Let sit on kitchen counter overnight. 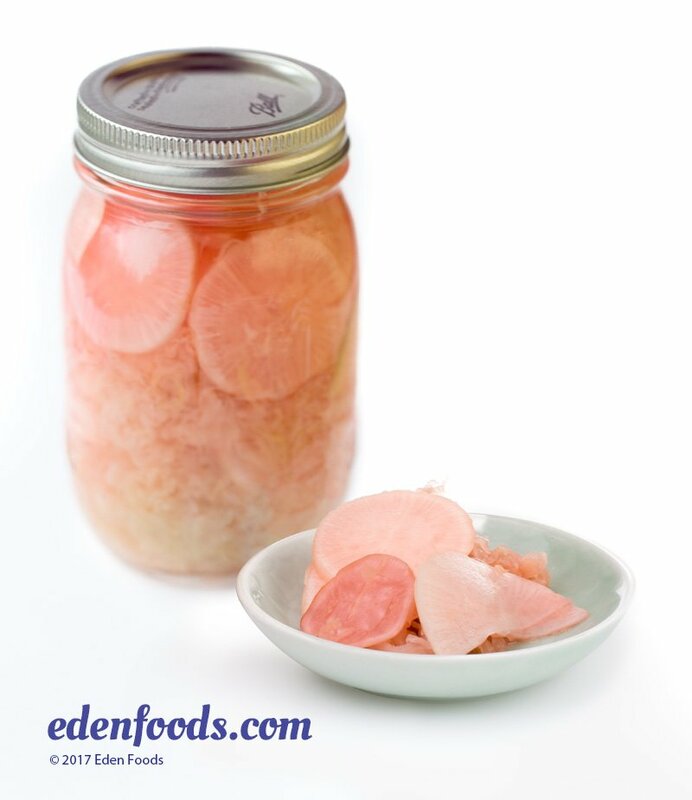 Remove cheesecloth, place the cap on the jar, and refrigerate. Remove 1 or 2 tablespoons of vegetables and sauerkraut as desired and serve with meals. Keeps about 2 to 3 weeks refrigerated.